Whether looking for affordable Funeral Options or Cremation Services, Destiny Funeral Home & Crematory is your local funeral home located near Redondo Beach CA and can service and cater to the families in the surrounding communities such as Signal Hill and Bixby Knolls CA. 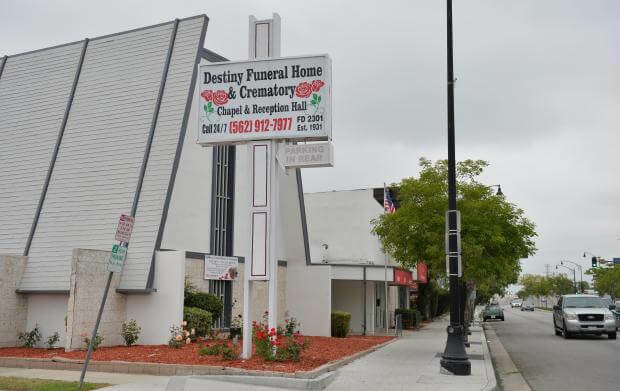 While there may be other reputable Funeral Homes in Redondo Beach CA serving families, Destiny Funeral Home & Crematory is there for you and stands by you every step of the way to ensure we give your loved one an honorable Funeral Service. Click for information about Cremation Services in Redondo Beach CA. While a hearse or casket coach is most commonly used for this purpose, other options are often appropriate. Families might consider more personalized and meaningful options;for example, a fire fighter may be transported on a fire truck.